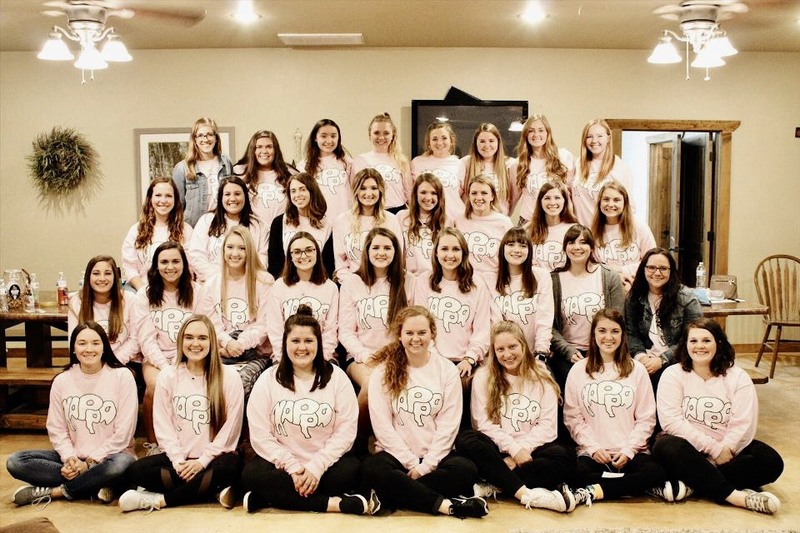 The purpose of Kappa Phi Beta is to connect with our fellow sisters to create a lifelong Christian unity, impact the campus of Oklahoma Baptist University and the Shawnee community, all the while shining the light of Christ’s love. Kappa Phi Beta is a social club that brings women together to serve our community, build relationships and grow spiritually. We're a sisterhood of fun, unique and Godly women, and we strive to be a community that encourages one another and works together to share God's love through our actions. Chacos and Tacos, Family Day, Fall and Spring Retreats, Kappa Krush, Tailgating, Rush Week, Big Little Reveal, Kappa Phi’s and Bow Ties. To become a member of Kappa Phi Beta, one must fill out an application to be a part of Rush Week. After participating in Rush Week and submitting your top club preferences, members will be chosen based off of mutual preferences between clubs and Rush Week participants, as well as available space in the club.